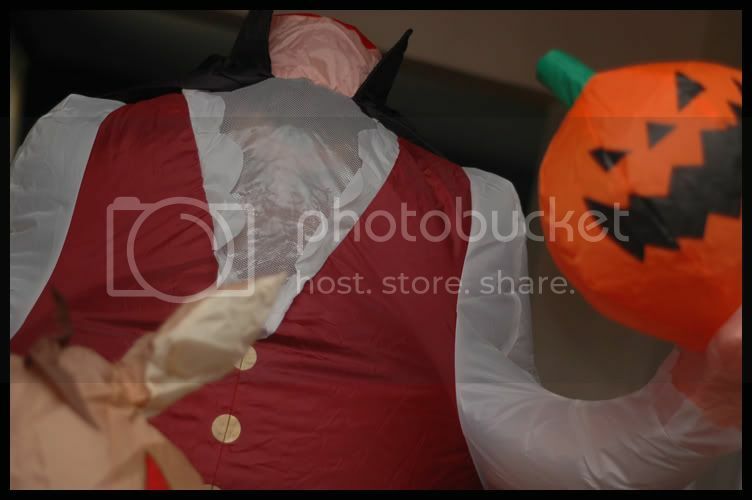 My mom found this inflatable Headless Horseman at a local discount store on the CHEAP BOY YEAH. This is why the neighborhood loves us. Guy ran up to a van at the stop sign and a child shrieked, “MOMMY I’M SCARED!!”. On a semi-related note, Marley is gonna hate Halloween.